Description : Download free course AngularJS Notes for Professionals book, pdf ebook tutorials on 201 pages by GoalKicker.com. Thanks to people (like you?) Who share their knowledge, you can discover the extent of our being selected to easily learn without spending a fortune! 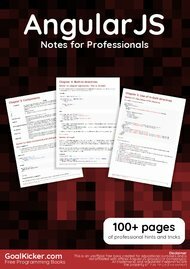 AngularJS Notes for Professionals book. is available for free by its author. But also many other tutorials are accessible just as easily! 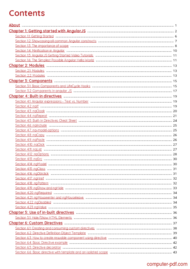 Download other tutorials for advice on AngularJS Notes for Professionals book. you will see! We will do everything to help you! And you dear surfers what you need? The best course and tutorial, and how to learn and use AngularJS Notes for Professionals book. of course!